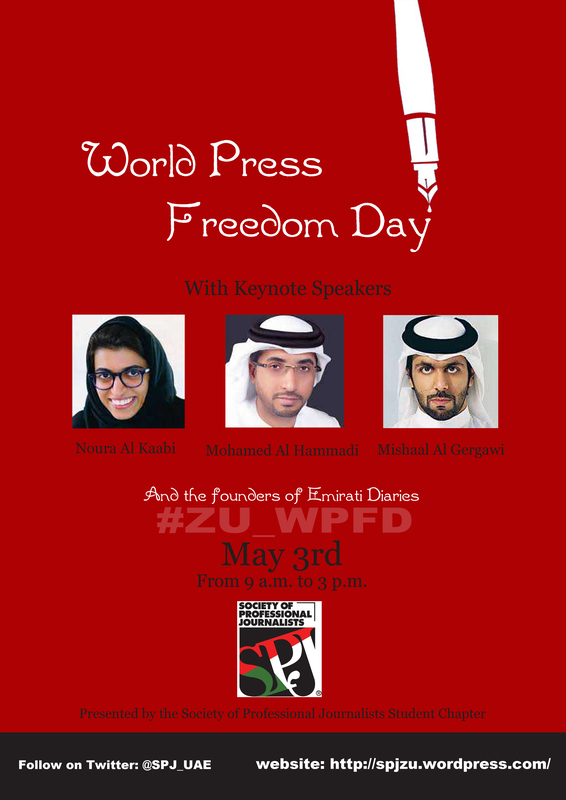 ABU DHABI, U.A.E.—Zayed University will mark World Press Freedom Day with an event for the first time on May 3 at the new Abu Dhabi campus. The event, organized by the Student Chapter of the Society of Professional Journalists, will feature keynote speakers who are well-known Emirati media leaders: Noura Al Kaabi, CEO of TwoFour54 and a member of the Federal National Council; Mohamed Al Hammadi, editor of Abu Dhabi National Geographic, and Mishaal Al Gergawi, columnist for the Gulf News. You are currently browsing the The First Amendment Blog blog archives for April, 2012.